The Long Island Rail Road’s plan to build a third track along its Main Line in Nassau will have “minimal” adverse effects and would actually improve air quality, noise and parking conditions along its 10-mile corridor, according to an environmental report released Monday. The 21-chapter draft environmental impact statement for the LIRR’s Main Line Expansion project answers several questions about the project, which aims to construct a third track between Floral Park and Hicksville largely within the LIRR’s own property. The document sets a preliminary budget for the effort at $2 billion — more than the $1 billion to $1.5 billion originally estimated by project officials. A precise budget will be determined once a contractor is hired to design and construct the third track. Construction would begin in 2017 and last three to four years, according to the report. “However, construction at any particular location would be significantly less than that, and in no instances would exceed two years,” according to the study. Unlike past third track plans, the newly proposed project would not require building on residential property. However, the project will require “four full commercial property acquisitions” and another 10 partial acquisitions — largely to accommodate the elimination of seven grade crossings along the project corridor. Business owners would be compensated and given assistance in relocating. The report also proposes several new improvements at stations along the project’s path, including the addition of 2,490 parking spaces at the New Hyde Park, Mineola, Westbury and Hicksville stations — some of which will come via six newly constructed parking garages. 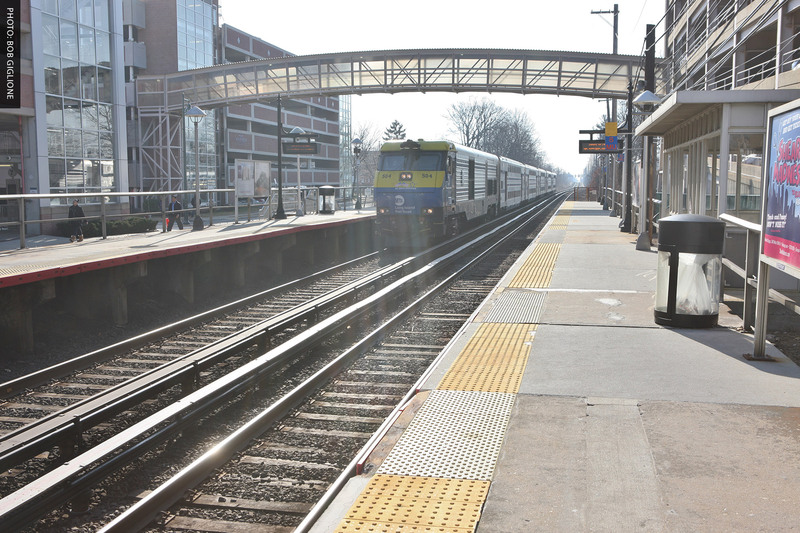 Stations at New Hyde Park, Merillon Avenue, Mineola, Carle Place and Westbury would also get new, longer platforms to accommodate trains with as many as 12 cars. Platforms also would be heated to prevent buildup of snow and ice. Noise and vibration also “would be significantly improved over existing conditions” because of new sound barrier walls. Getting rid of the seven grade crossings would eliminate the need for train horns and warning bells.